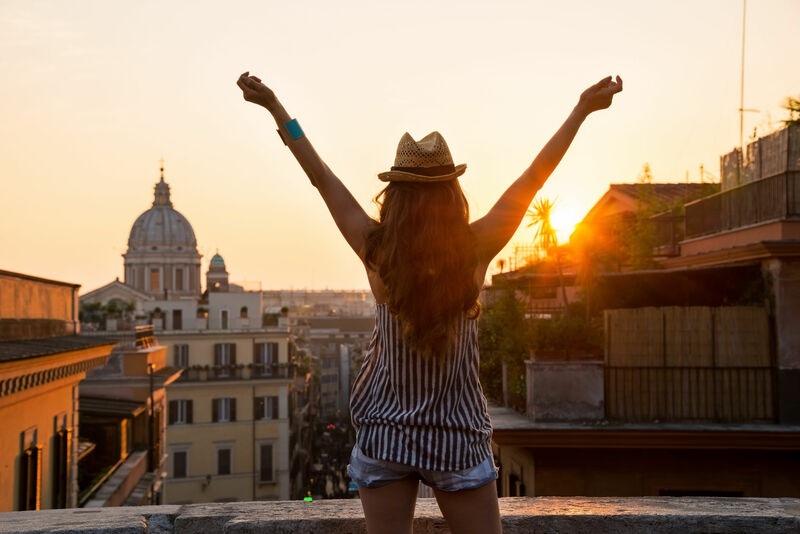 For about more than 500 years, a unique way of showing public resentment in Rome has been underway as an iconic practice of anonymous political expression that began way back in the 16th century. Popularly known as the ‘Talking Statues of Rome’ or the ‘Congregation of Wits’, these are medieval statues that became outlets for the Vox Populi. These statues have been a platform for the people to make their opinions heard to the authorities by writing satirical messages on the pedestal of these statues. In the age of free speech and social media probably it is difficult to imagine what could have to lead the people to anonymously put their perspective on a statue pedestal but yes, there is a reason more than justifiable behind it. When it all began, it was the time of no free speech and the general people weren’t supposed to voice their opinion against the Pope and other authorities. The people made statues speak for them by writing poems and quips on these unconsidered bulletin boards. Using all these statues to voice their opinions almost began at the same time, around 16th century. 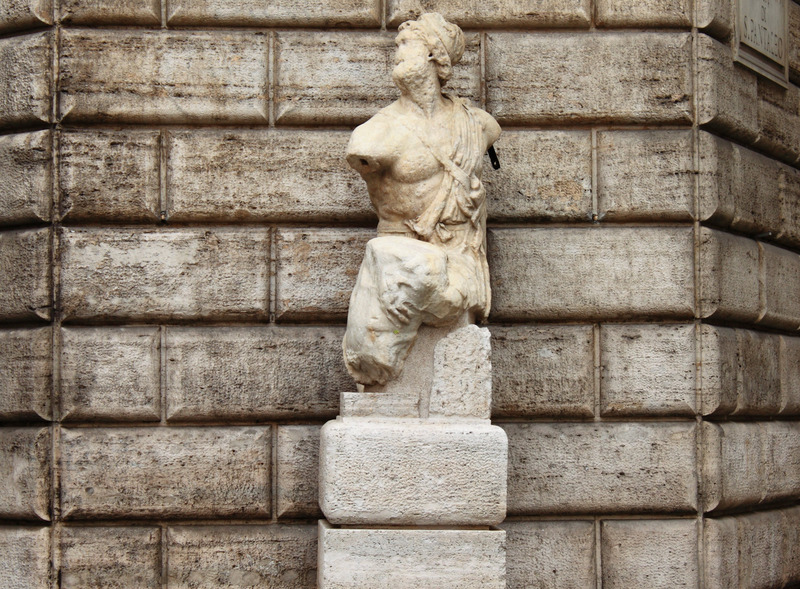 The first among them, a weathered and a disfigured statue supposedly of Menelaus, the mythical King of Sparta located near Piazza Navona—Pasquino started it all. The practice of writing satirical poems started in the 16th century which were called as pasquinates. It is not known who wrote the first pasquinade but legend has it that a tailor named Pasquino wrote the very first comment on the statue. The word pasquinate became so popular that it took an English form called pasquinade that literally means- a satire or lampoon, originally one displayed or delivered in a public place. A contemporary to Pasquino, Marforio is said to be second to it. 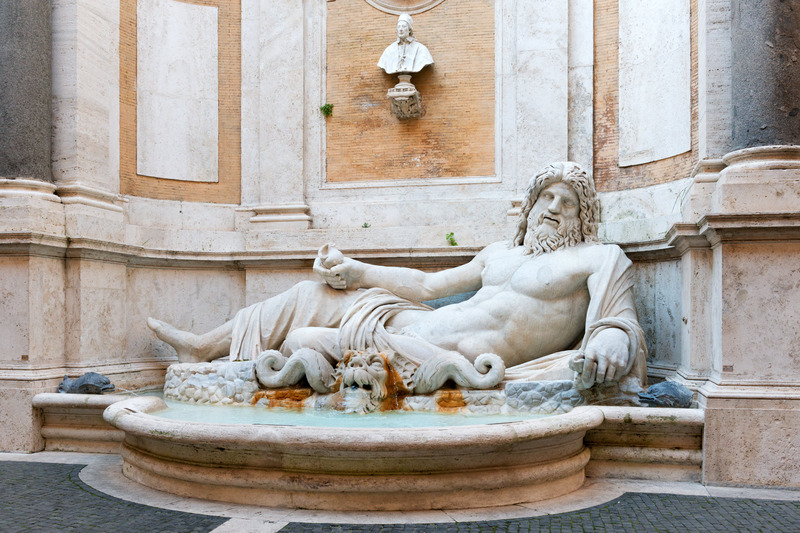 Located at the feet of the obelisk in Piazza del Quirinale, Marforio is a marble sculpture of the bearded river god—Oceanus. There are various stories about the origin of its name- some say the statue was discovered with a message with words ‘mare in foro’ in it. Legend also has it that the name is derived from the Latin name of the area- Martis Forum and some believe it comes from the name of the family Marfuoli which owned the property near the location of the statue in the late 16th century. A strong belief is the statue was found in the Forum of Augustus which is also called as Forum of Mars and hence the name Marforio. The only lady in all the statues is Madama Lucrezia. The statue is a massive bust (supposedly of a bigger sculpture) of a lady that sits in a corner near Basilica di San Marco and the Palazzo Venezia. It is believed that the statue appeared from the ground near a temple of Isis somewhere near Pantheon. The subject in the statue is a matter of controversy as some believe it is the statue of the Egyptian goddess—Isis herself and some say she is the Roman Empress Faustina. The story goes that the statue was dedicated to the daughter of Nicholas d’ Alagno, Lucrezia d’Alagno who was the lover of the King of Naples, Alfonso V of Aragon. After the death of King Alfonso, Lucrezia moved from Naples to the present location along with the statue. The statue probably lost her nose to the collapse in 1799 owing to the public unrest because of Napoleon’s occupation of Rome. The inscription (translated) on the plinth of the statue says everything about Abbot Luigi. 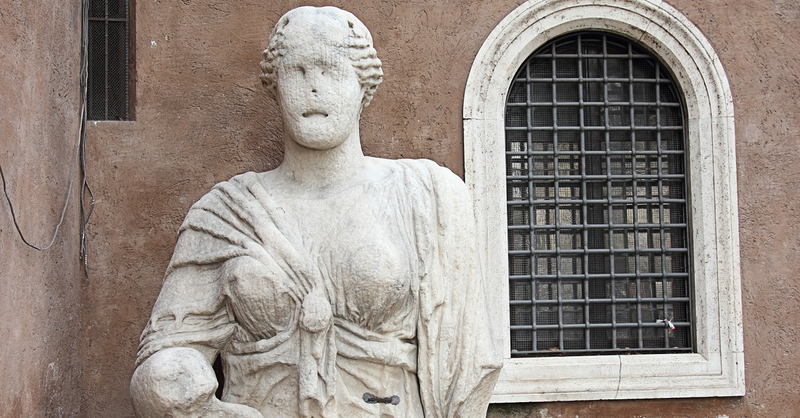 The statue with a man in a toga was discovered somewhere near the ruins of the Theater of Pompey, today it stands in Piazza Vidoni, near Basilica di Sant’Andrea delle Valle. Abbot Luigi has had his head severed a many times, probably a punishment he gets for the pasquinades he displays. But every time he loses his head, he gets a new one. It was last in 1966 that he lost his head again, but this time he got his head back with a message to the unknown culprits that reads (translated)- You stole my head, bring it back, do not challenge me! As nothing happened, they sent me to the Government. And it annoys me. Literally translated to ‘The Baboon’, one of the talking statues of Rome is the II Babuino. 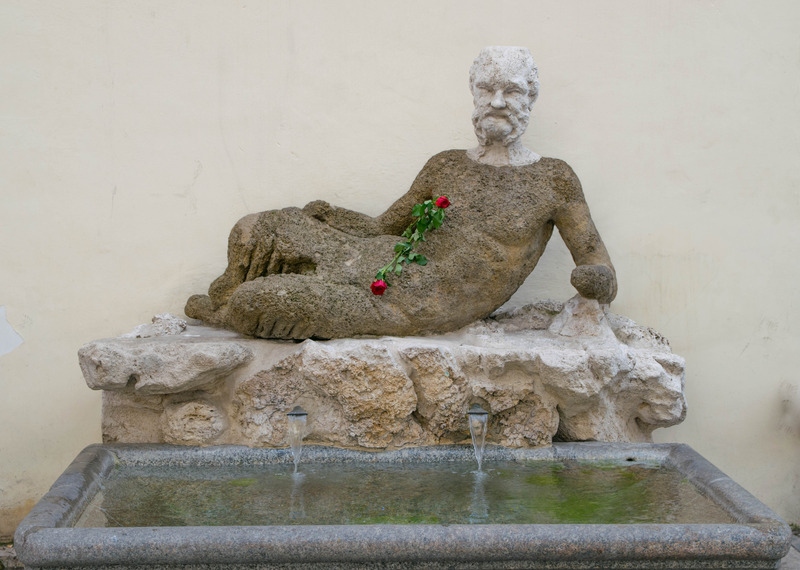 The subject in the statue is probably Silenus, who is half man and half goat and is a companion of Dionysus. The statue was not appealing to the Roman people and it appeared ugly, like a monkey and so, they decided to re-christened it as- The Baboon. The pasquinading Baboon is situated beside the Church of Sant’Atanasio dei Greci, on the street named after him—Via del Babuino. Back in those days, the location where the statue stands was not well-guarded and due to lack of patrolling, the Baboon got the most abhorrent pasquinades of the time. The only talking statue that was created in Renaissance is quite a distinction for the sculpture. ‘The Porter’ as it means depicts a tired man pouring water from his barrel in the fountain under. The statue before moving to the current location at Via Lata, near Banco di Roma was situated near Piazza Venezia on the Via del Corso. Just like his many other coevals, he has been subjected to violence and has been stoned, causing his face to deform. Although the youngest of them all, II Facchino is the anonymous outlet for political expression with the most fierce pasquinades. These aging sculptures obviously do not enjoy the attention they got back in their heydays, but they sure make a bold statement of the audacity of the general public to stand against the authorities and thus remind us the importance of the free speech.